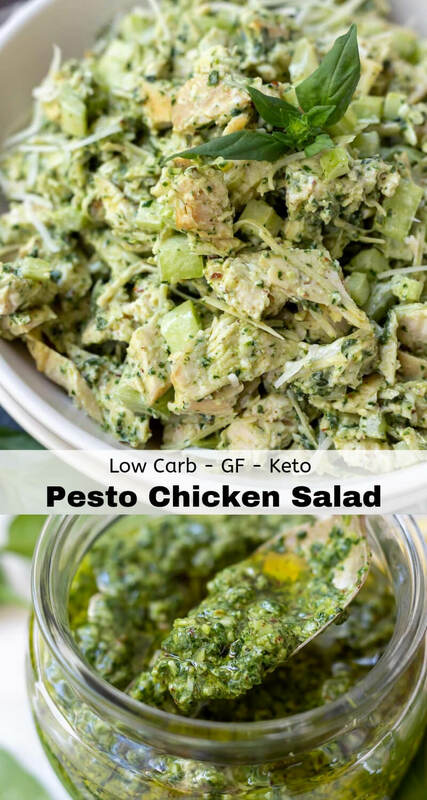 This Pesto Chicken Salad Recipe is a great way to add flavor to those boring lunchbox meals. 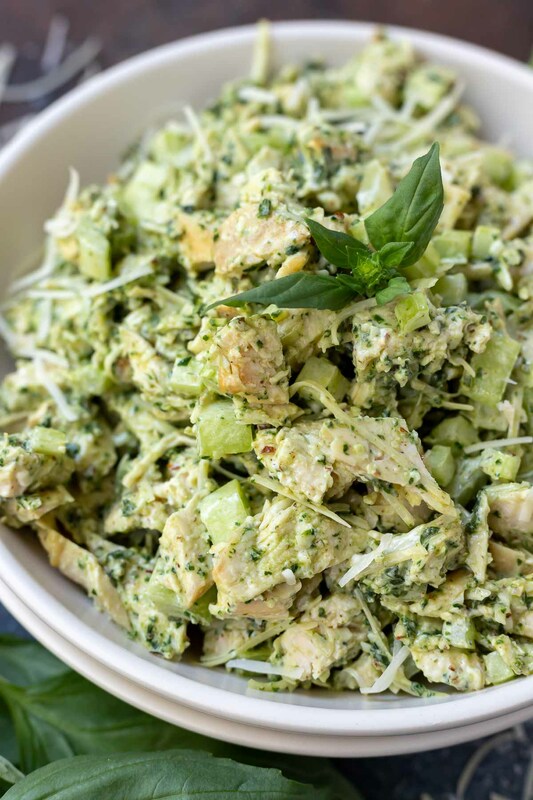 Not only is this chicken salad flavorful, it is packed with nutrition too! 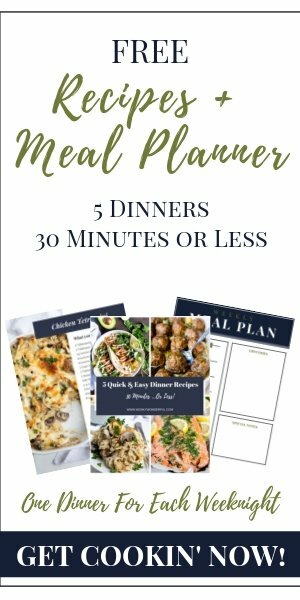 Great for anyone following a Low Carb – Keto diet. First we are going to need the chicken. Use any leftover chicken you have available, perhaps from a Roast Chicken Dinner. Or prepare this Oven Baked Chicken Breast for your chicken salad. You can also check out this tutorial for How To Poach Chicken Breasts if you prefer. Next we need pesto. If you have your own personal favorite pesto recipe go ahead and use that, or here is a Traditional Basil Pesto Recipe. 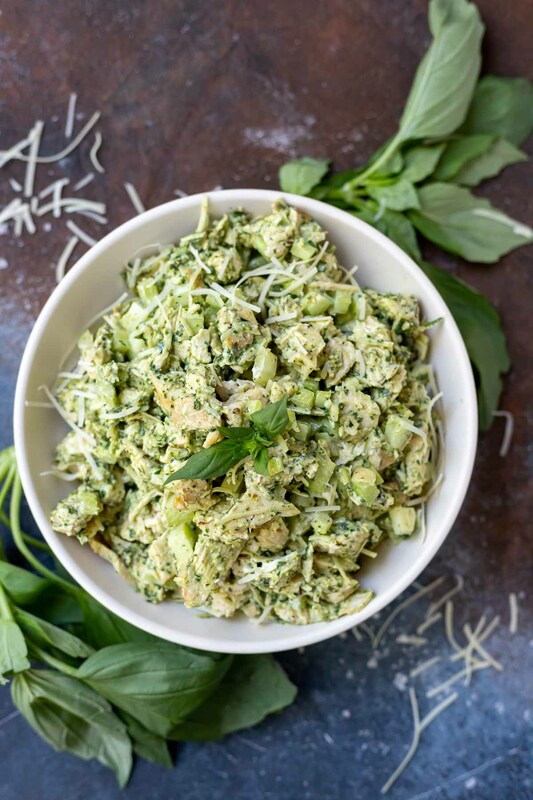 I love to use Basil Spinach Pesto to add extra nutrients and a mild basil flavor. The rest of the ingredients are pretty standard and all fit into a low carb – Keto diet. You can most definitely use store bought rotisserie chicken as a shortcut. Not only is it convenient but it is super tender and tasty too. While we’re at it, feel free to use store bought pesto. Then this chicken salad recipe will come together in about 5 minutes! I really like the Trader Joe’s Pesto in the refrigerated section. 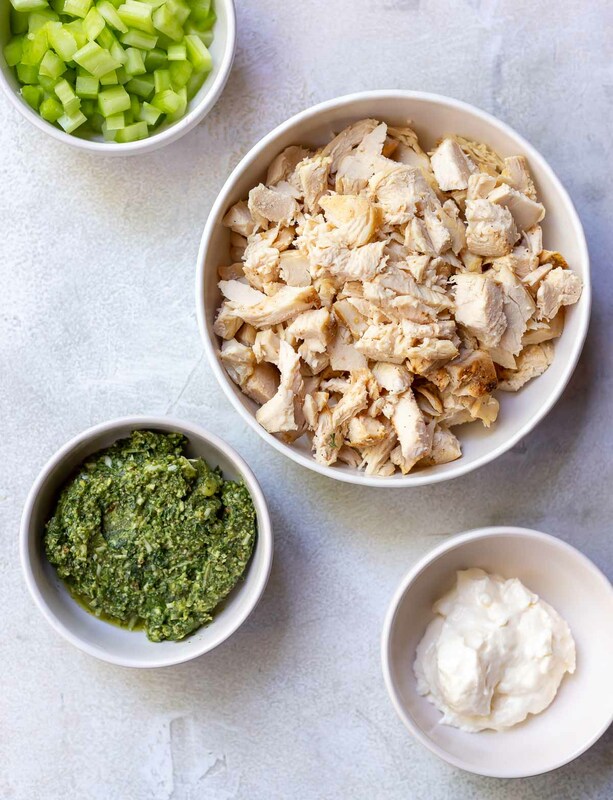 Cook chicken and prepare pesto if needed. Combine all chicken salad ingredients. Stir. You can eat this chicken salad as a wrap, sandwich, on top of rice or pasta. Or just eat it straight outta the bowl ← that’s what I do. Here are a few sides that would go great alongside chicken salad: Spinach Tortellini Salad, Caprese Pasta Salad, Chickpea Salad or Greek Salad. 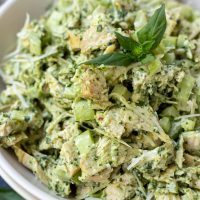 Here are a few more interesting chicken salad recipes to liven up your lunchbox: Cilantro Lime Chicken Salad, Lemon Poppyseed Chicken Salad or Chicken Salad with Grapes.